يشكل فندق Punakaiki Resort بموقعه الممتاز في قلب بوناكايكي نقطة انطلاق ممتازة لاستكشاف بوناكايكى. يمكن من هنا للضيوف الاستمتاع بسهولة الوصول إلى كل ما تقدمه هذه المدينة النابضة بالحياة. يشكل هذا الفندق ملاذاَ مريحاً للاسترخاء ويمنح زواره فرصة للاستجمام والتجدد، وهو يقع على بعد خطوات من المعالم السياحية الكثيرة للمدينة كمثل: ‪Pancake Rocks‬, ‪Pororari River Track‬, ‪Truman Track‬. كما يقدم Punakaiki Resort الكثير من الخدمات لإغناء رحلتك في بوناكايكى. يقدم الفندق مرافق مخصصة لذوي الاحتياجات الخاصة, واي فاي في المناطق العامة, صف السيارات, خدمة الغرف, مطعم لضمان الراحة القصوى لضيوفه. بالإضافة لهذا,تتضمن كل غرف الضيوف مجموعة واسعة من وسائل الراحة . بعض الغرف توفر حتى تلفزيون بشاشة مسطحة, اتصال لاسلكي بالإنترنت, غرف لغير المدخنين, تدفئة, شرفة/ تراس لإرضاء أكثر الضيوف تطلباً. يقدم الفندق مجموعة واسعة من وسائل الراحة المتنوعة، كمثل: شاطئ خاص, حديقة. 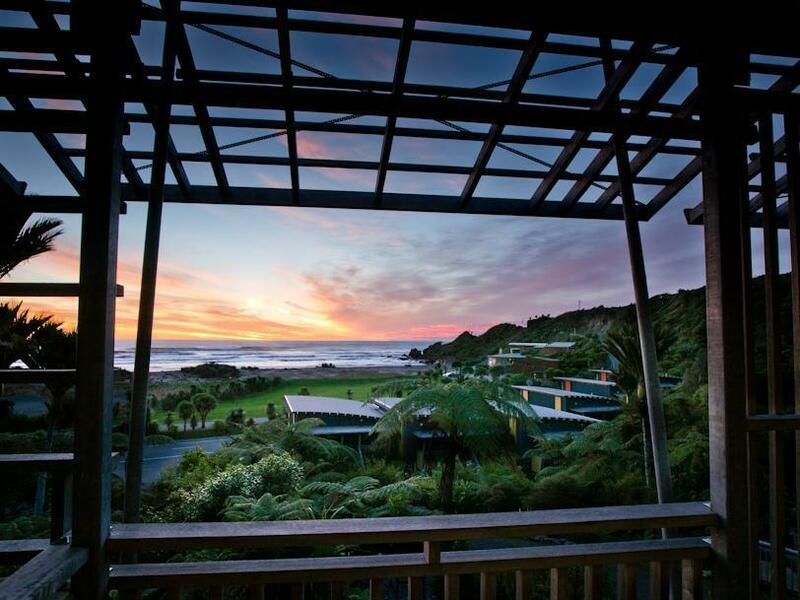 مهما كانت أسبابك لزيارة بوناكايكى، فإن Punakaiki Resort هو الخيار الأفضل لإقامة مثيرة وممتعة. We had an ocean view room with two queen beds. It was a lovely, comfortable stay and we can highly recommend this resort. A 2 minute drive from the pancake rocks too! We ate at the restaurant, but honestly found it a bit overpriced and the food was quite bland. But there were no other negatives than that. Would definitely visit again if we are in the area. We booked two adjoining units facing the ocean. It gave us a great view of the sunset and also a balcony for star gazing. Rooms were well equipped and staff were very friendly. The restaurant also had good food. We really enjoyed the attentive service and generous sized rooms. We stayed in an eco suite which is a bit back from the beach but still has an amazing outlook with sunsets to swoon over. I loved the bonfires down on the beach in front of the hotel and the gorgeous dining room. All the food we tried was lovely and reasonably priced. If you want to get away, unwind and just walk a few trails or sit and watch the ocean roll in with a nice wine in your glass then this is the place for you! We arrived at sunset, checked into our room which was a balcony view of the beach (just beautiful!) then spent the late afternoon walking on the beach before dinner. We only spent one night here as we'd just driven over from Christchurch to do the adventure cave rafting in Charleston. Couldn't have picked a more perfect place to stay. The following morning we drove 2 minutes up the road and saw the pancake rocks and blowholes which were definitely worth seeing (you only need an hour tops to do this). We wanted to spend a night along the coast to break up our south island driving, and this was a wonderful spot to stop. We walked up to the pancake rocks before sunset, and had dinner at the resort restaurant right on the beach. The rooms were spacious and attractive. 5mins walk to pancake rock. Sea view resort with sky full of starts at night. Rooms are clean and restaurant foods are good. Nothing to complain during my stay there. They have a beach for the hotel. We took a walk after dinner and saw the sky is full of stars. So amazing! They have a restaurant for customers too! Clean and adequately appointed rooms but a small space at this price. No cooling with very small screened windows and so very little flow through ventilation made the room stiflingly hot. The floor added to the heat - it felt like underfloor heating had been left on overnight. Don’t know the cause but the effect was very unpleasant. 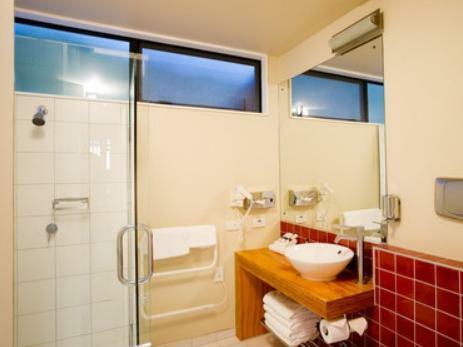 We enjoyed our 1 night stay at Punakaiki Resort. The location was perfect for visiting the pancake Rocks and Blowholes. The facility was clean and staff helpful and friendly. Our only complaint was that our rooms were at the back and difficult to access with no parking nearby. But we would recommend this resort. This place was so beautiful and the location was very close to all the attractions in the area. We had easy access to the local restaurants/cafes, as well as sites like the Pancake Rocks and Blowholes. Being right on the coast, the view of the sunset every night was stunning, and was definitely a change of scenery from the mountains we had been driving through. The food was great and the staff were lovely and very helpful. Definitely value for money and would highly recommend to anyone who is visiting the West Coast of NZ South Island. Close proximity to the pancake rocks. Good view of the sea from our room. Found the location of the parking a little awkward in relation to the apartment entrance - we had to lug our luggage around towards the main road where the entrance to the apartment units were along a narrow walkway. No direct link between the apartment units and the reception/ lounge/ restaurant. The lady processing our check-in was warm, courteous and made us feel very welcomed. Checking in was a breeze - as per our other accoms in NZ. Room was well-appointed and spacious - there are 2 near-queen-sized beds! Also, this is weird but we really liked the shampoo, shower gel and exfoliating soap provided. Had our dinner at Jacob's Grill. We had the tomato basil soup (delicious, though the serving was smaller that the portions we have seen elsewhere in NZ), cajun chicken pasta (tasted alright but got too overwhelming towards the 2nd half - the portion could feed 2 adults), and the baked chicken (dry and lacking in taste). We probably should have ordered the steak, but we wanted a break from beef that evening. Prices were expected of a resort. 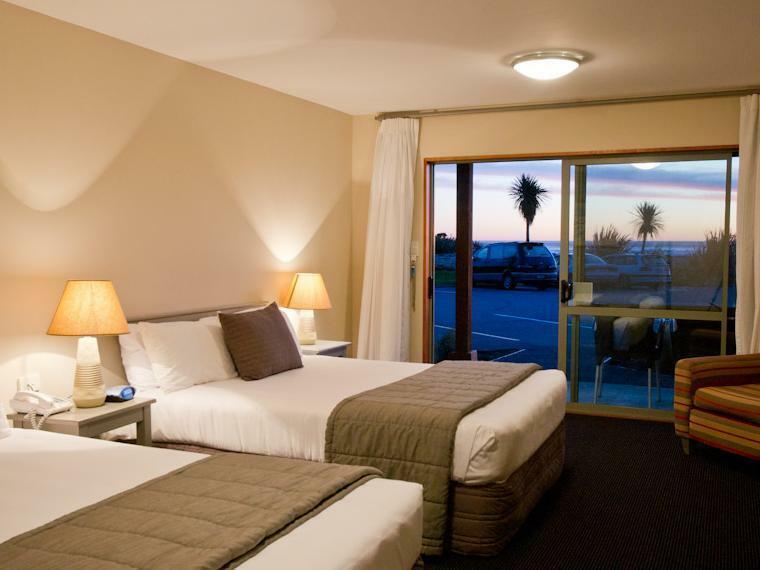 Situated on New Zealand's wild West Coast, 30 minutes north of Greymouth and 300m south of the famous Pancakes Rocks and Blowholes, with a stunning view of the ocean, Punakaiki by all accounts is an ideal place for a one-night pit stop. But for the price you pay, it certainly isn't bang for buck, by a long shot. The restaurant serves decent grub and offers a decent wine list. While the cozy lounge with roaring fireplace adds a warm touch (pun intended) respite from the cold. My main beef is with the room. Basic to the core, it resembled a shanty beach shack complete with torn mosquito-sandfly net on the windows and balcony doors. Thank goodness we were there only for a night. The sea view was not as great as expected. I feel that it is not required to pay extra for the view. No supermarket nearby. So the food available were limited and pricey. Otherwise, we were happy with good wifi access and hot shower. The Punakaiki Resort seemed to be one of the only hotel standard accommodations near Punakaiki, so we were grateful that we had this luxury. The only other options seemed to be hostel / backpacker style accommodation. Its location near the Punakaiki pancake rocks makes it an ideal stopover for those driving through on the West Coast Road. The food at the restaurant (there aren't many dining options nearby) was actually very good. However, the hotel did seem to be understaffed, and although they were polite and got their jobs done, the staff seemed flustered at having to cover multiple roles. One odd thing was how the reception is not connected to the 'chalet' style rooms by a covered walkway, which we noticed given it was raining incredibly heavily when we arrived. this is a very pleasant and relaxing place to stay. this views are great and the room over looks the sea. 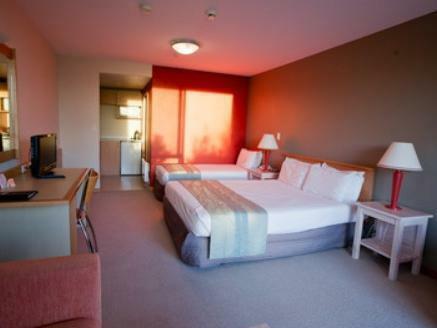 the rooms are well appointed and very clean and comfortable.the meals are nice but quite expensive as vegetables are charged as an extra for the mains. Pleasant peaceful location. Limited dining options in the area and no cooking facilities in the unit but fortunately had a good in-house restaurant. No sound proofing between bedroom and shower. Needed a car to get to the Pancake rocks in reasonable time. Great. Good service with comfortable beds, clean room. Most importantly, a great ocean view balcony. Checking in and checking out is fast and easy. The restaurant is a bit pricy but it is fine dinning setting. No food nearby, so must eat in the restaurant. No cooking in the room. 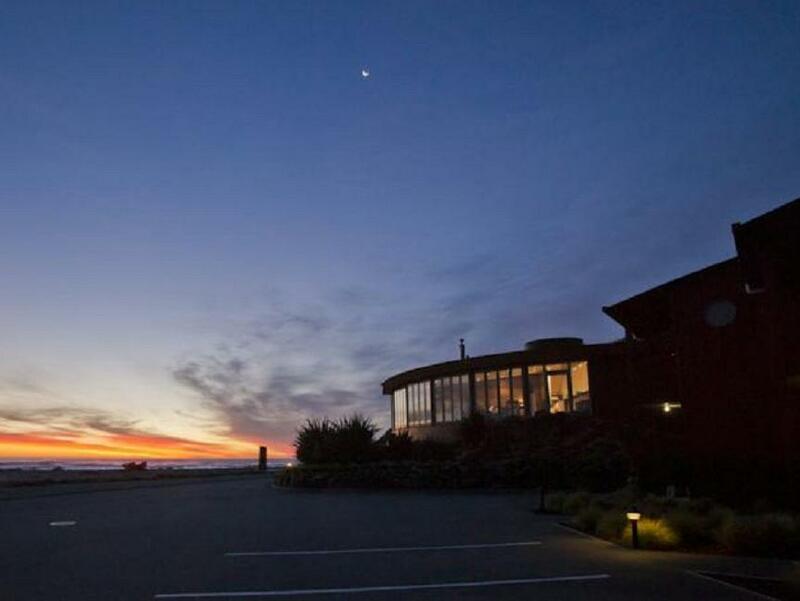 This is a very handy location for travel between Nelson and Greymouth, especially for walking to the Pancake rocks, the bar and restaurant overlook the ocean which is stunning. The room had 2 doubles but was still big enough to move.